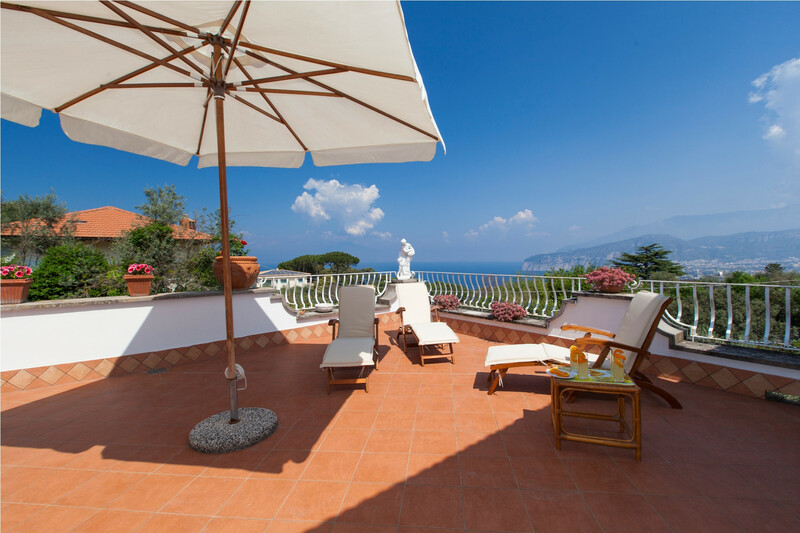 On a quiet road just outside Sorrento is this private, spacious and elegant villa with stunning views across the Gulf of Naples to Capri. 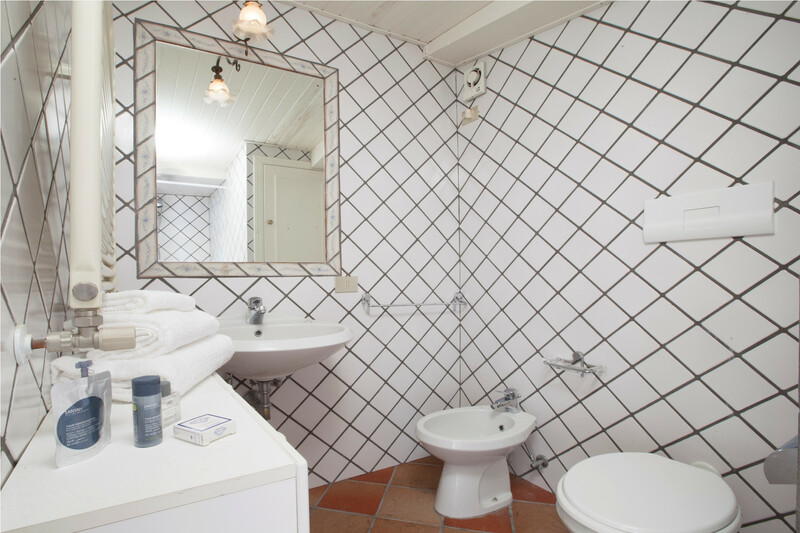 Sleeps 6. 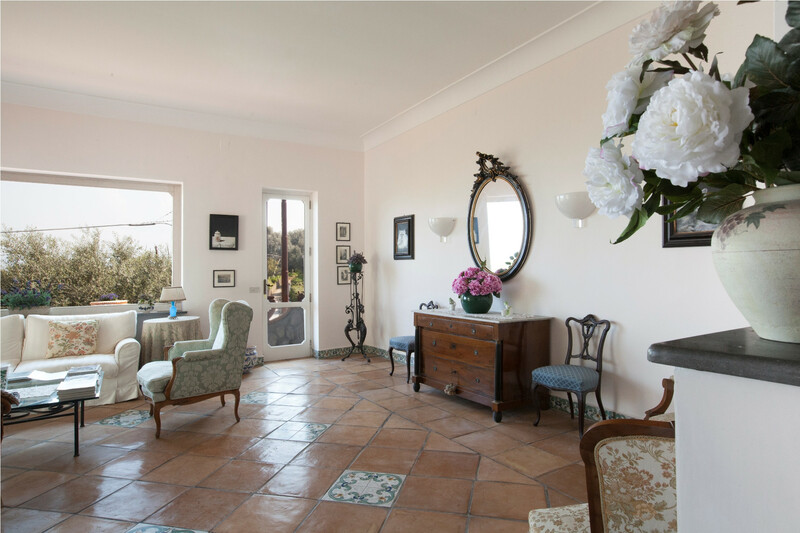 Former home to a treasured Sorrento artist, Aldo in Sorrento is a handsome and comfortable villa that shows all the signs of its artistic heritage and has views to inspire the artist in all of us. 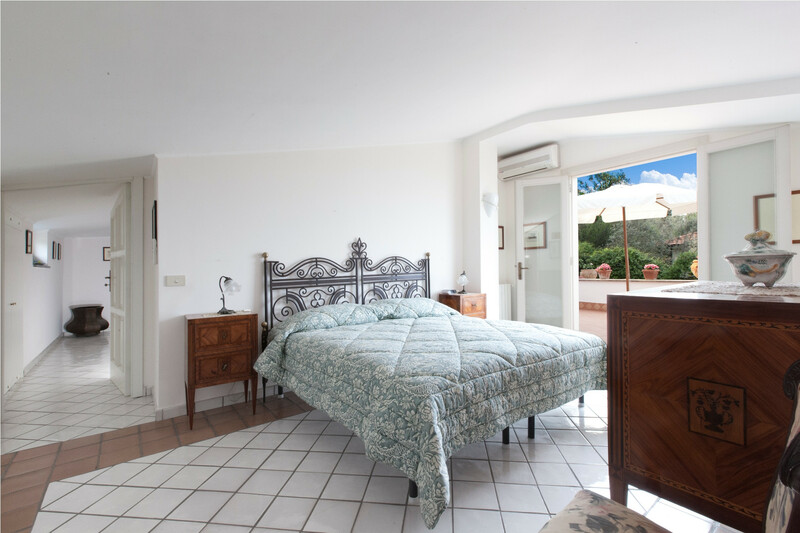 Enjoy the benefits of a rural retreat just a five minute-drive from beautiful Sorrento. 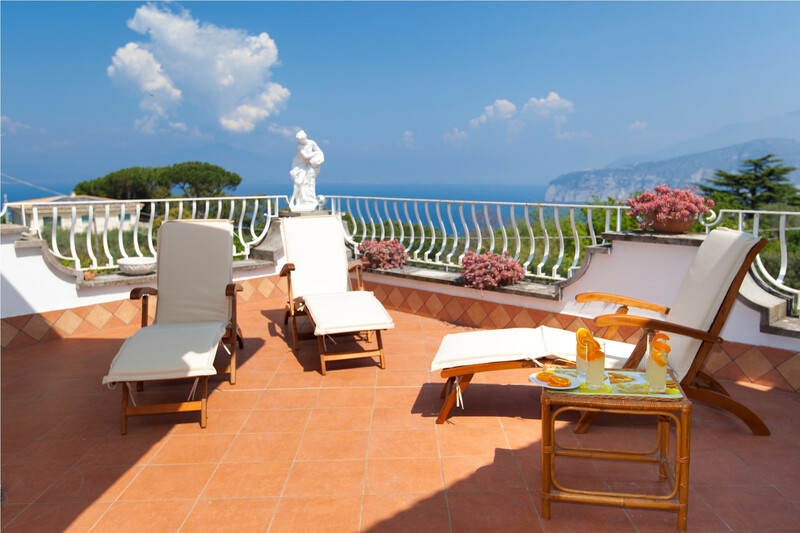 In the hills above Sorrento sits this haven of peace; terracotta-tiled terraces surround the villa on several levels, each with a differing view of the sparkling sea. 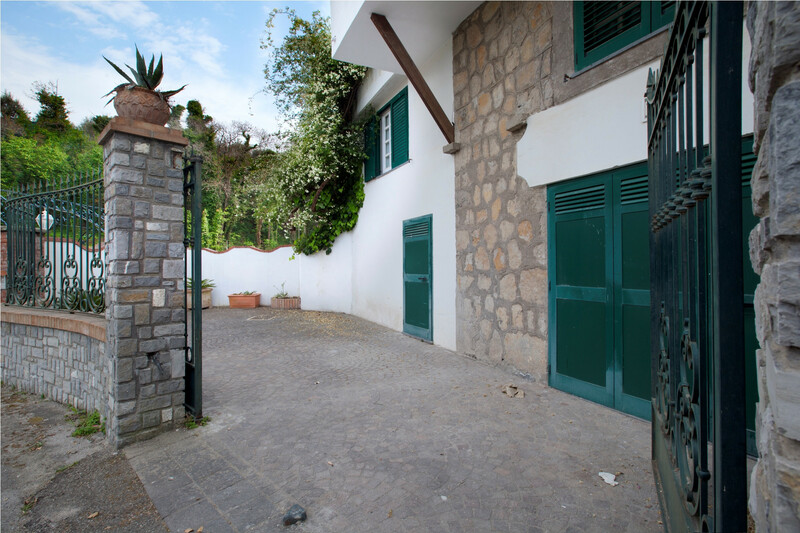 Park inside the gates of this pretty villa and climb greenery-ensconced steps to its front door. 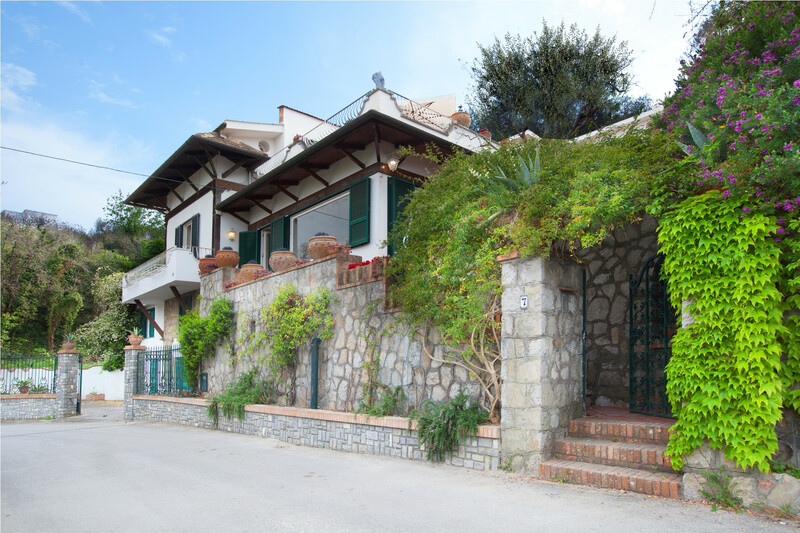 The villa is on two levels, with an annexe approached separately from outside. 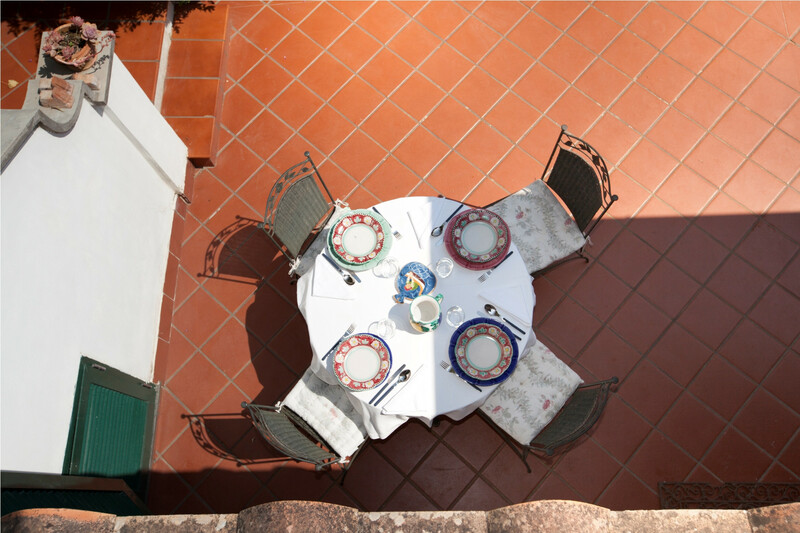 This makes it ideal for two families sharing. 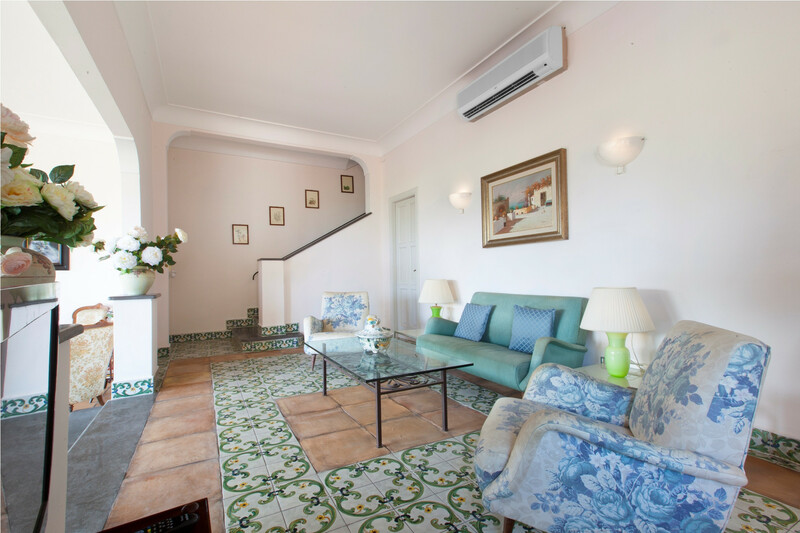 The air-conditioned property is fresh and airy, with white-painted walls and gorgeously tiled floors throughout. 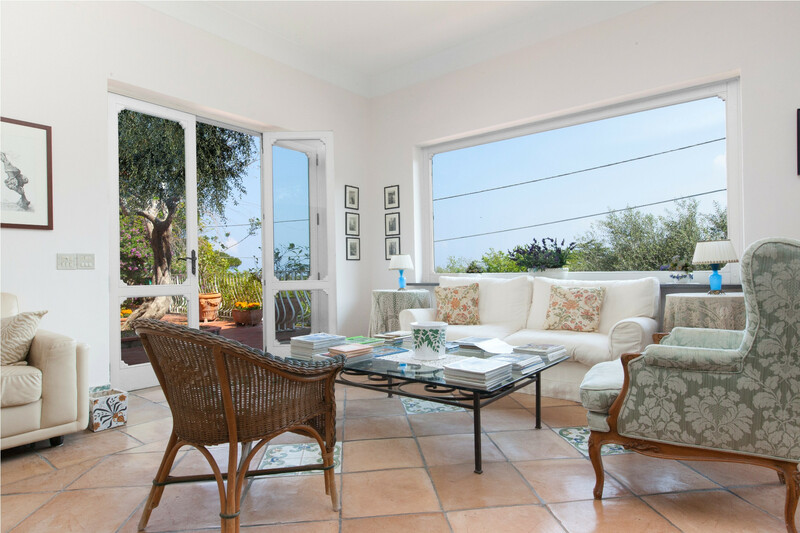 The property has been carefully designed so that every room has access to a terrace. 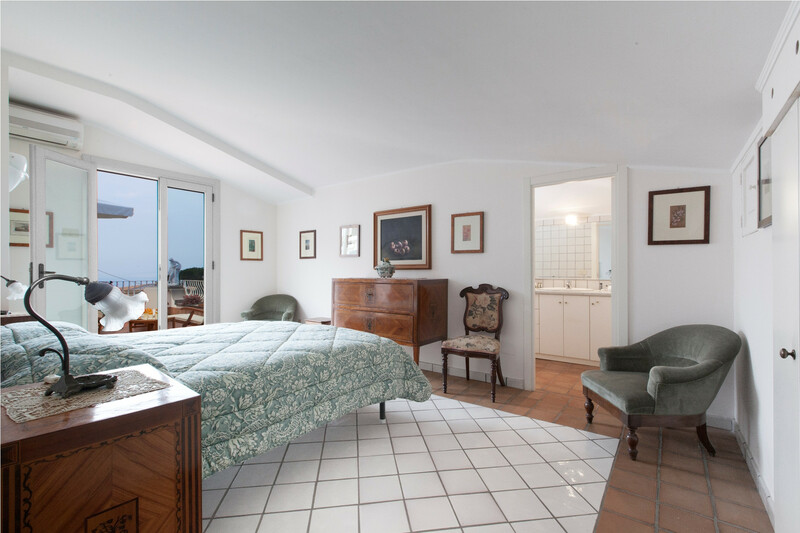 Enormous picture windows bring in light and a breeze and show off that ever-changing but timeless view of the Gulf of Naples. 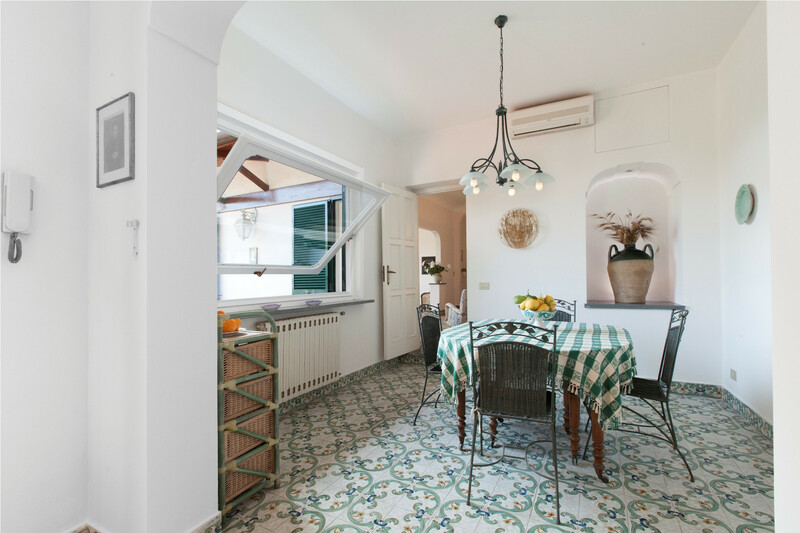 The kitchen has been recently renovated and features stylish, dark wood fittings and modern appliances, including an oven, hob and dishwasher, and plenty of space to cook the delectable local produce. 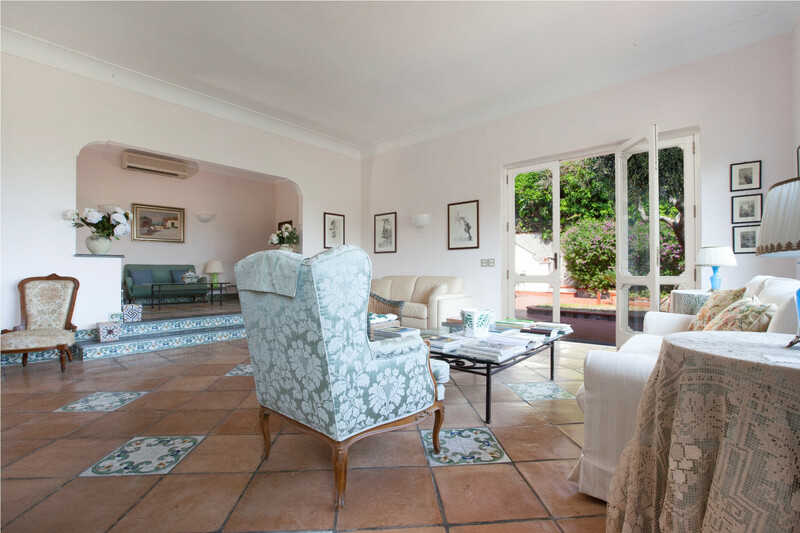 The large, elegant living space is divided by a step up; one half is comfortable, airy and feels like part of the garden, the other half is a cosy space to sit and watch TV. 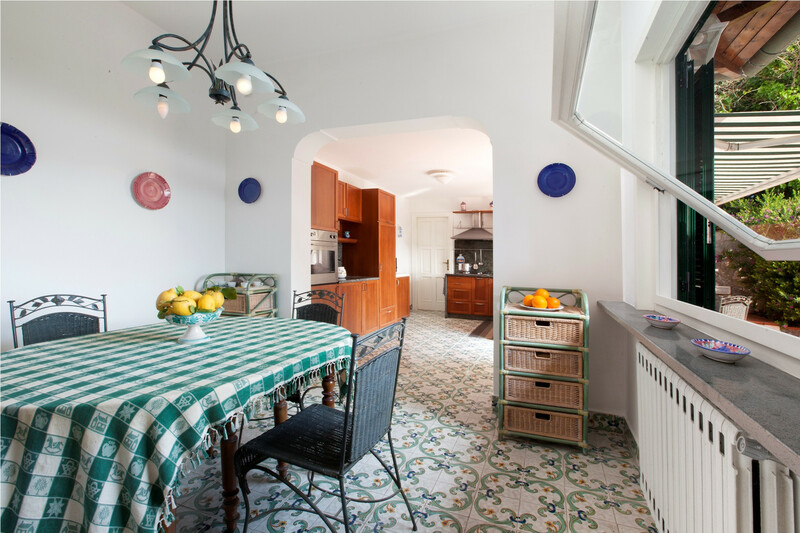 Between the kitchen and living area is a timeless dining room, just in case you can tear yourself away from the view outside. 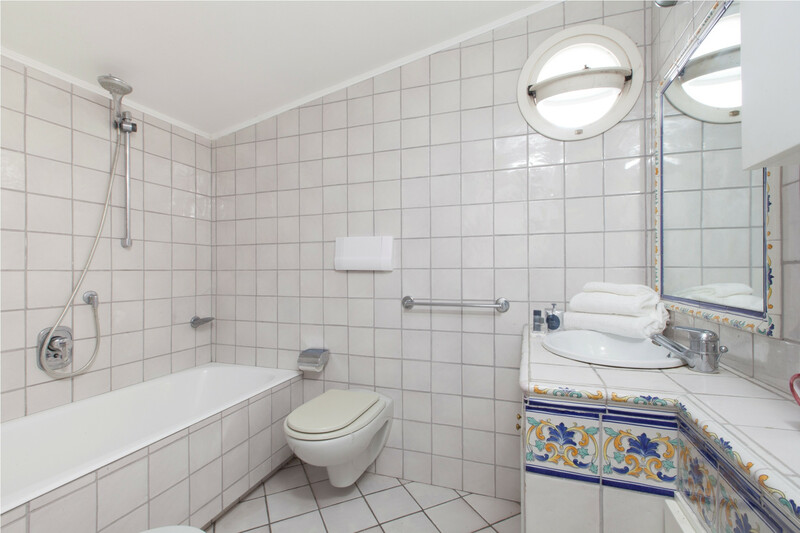 There is a handy cloakroom toilet downstairs. 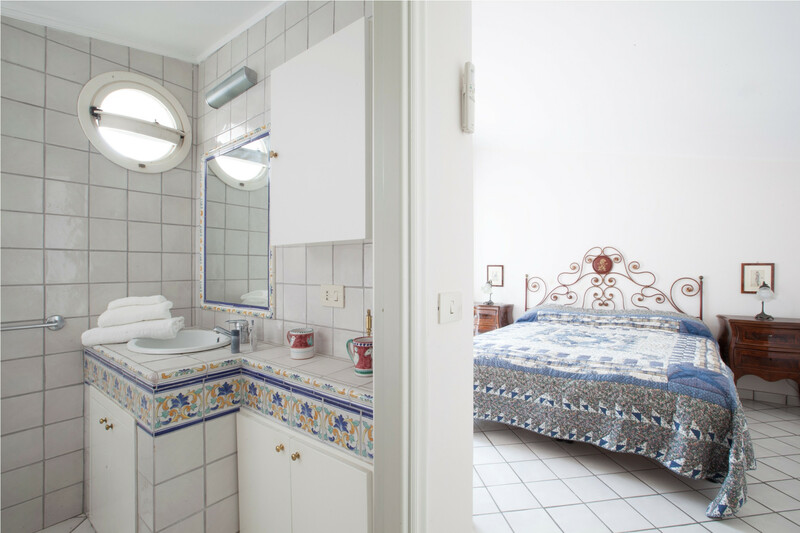 All three bedrooms are en suite; two have baths and one has a shower. 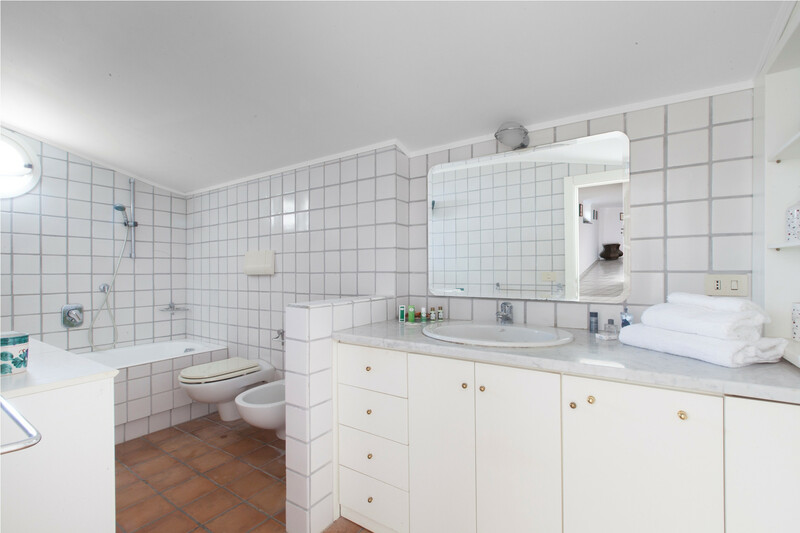 All the bathrooms are large, clean and tiled in white. 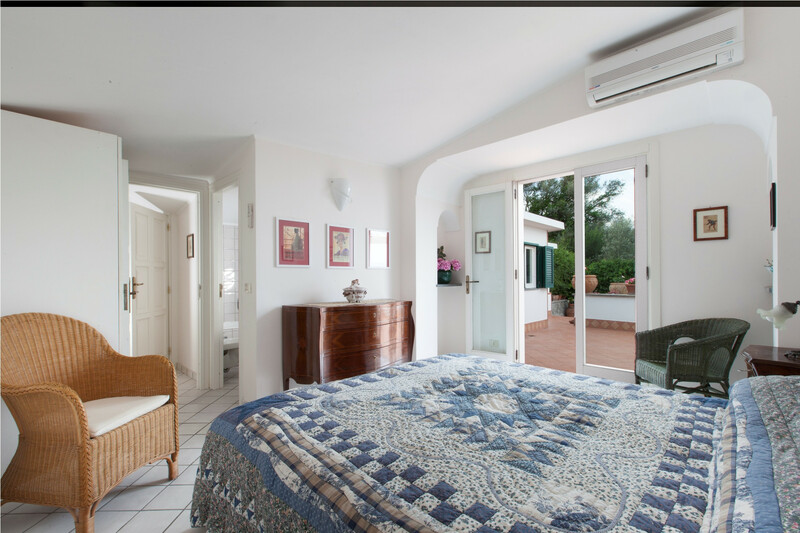 The two double bedrooms are elegantly furnished in dark wood and have large beds covered in gorgeous patchwork bedspreads to complement the beautifully crafted metal bedsteads. 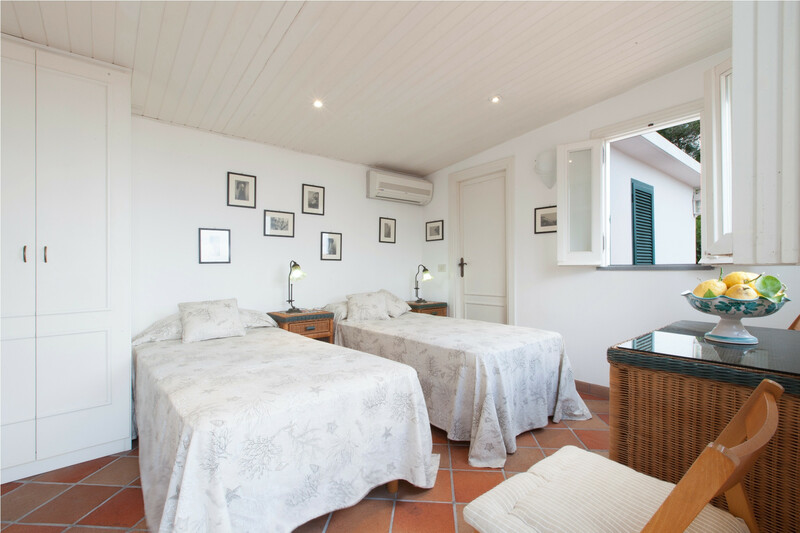 The cosy twin room has two single beds and is accessed via a separate door. 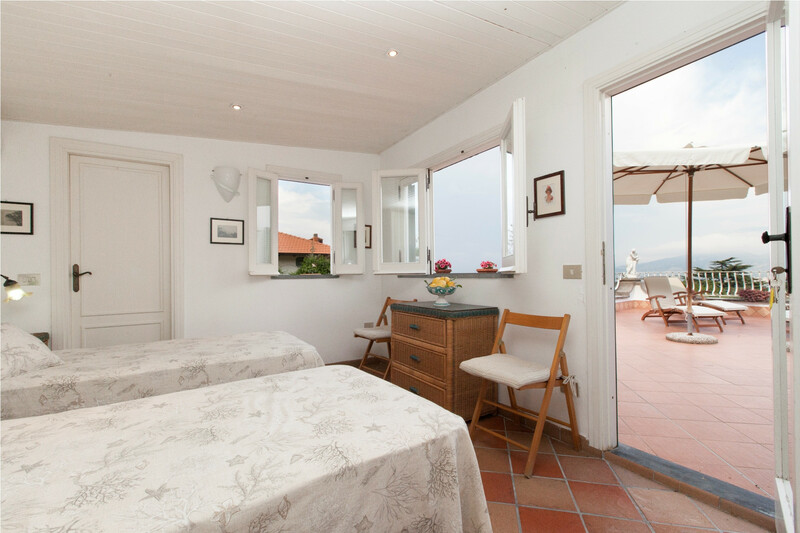 All the bedrooms have somewhere to sit and enjoy the view, and a door to the terrace outside. 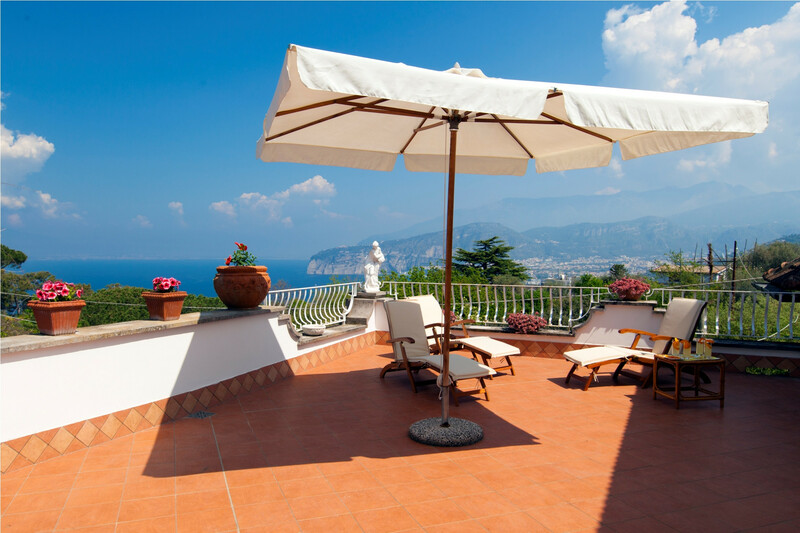 The terraces and their views turn this villa from gorgeous to spectacular! 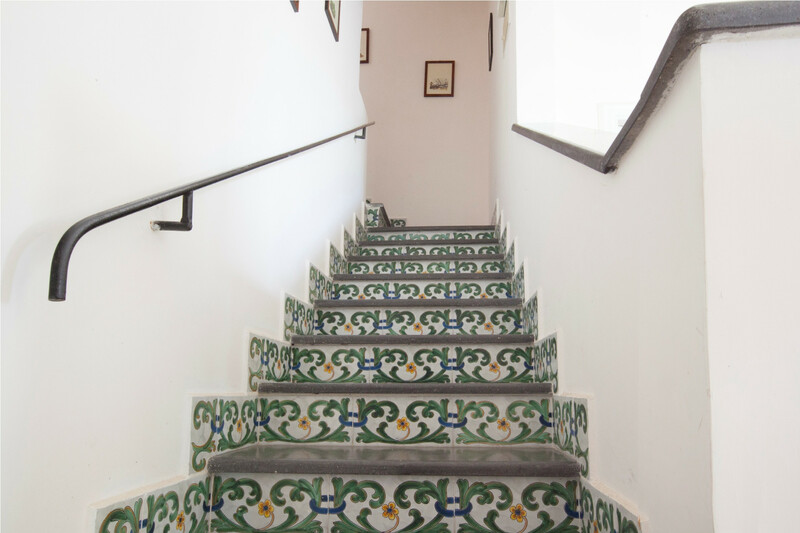 On several levels, with steps leading from one to another, there are terraces outside every room. 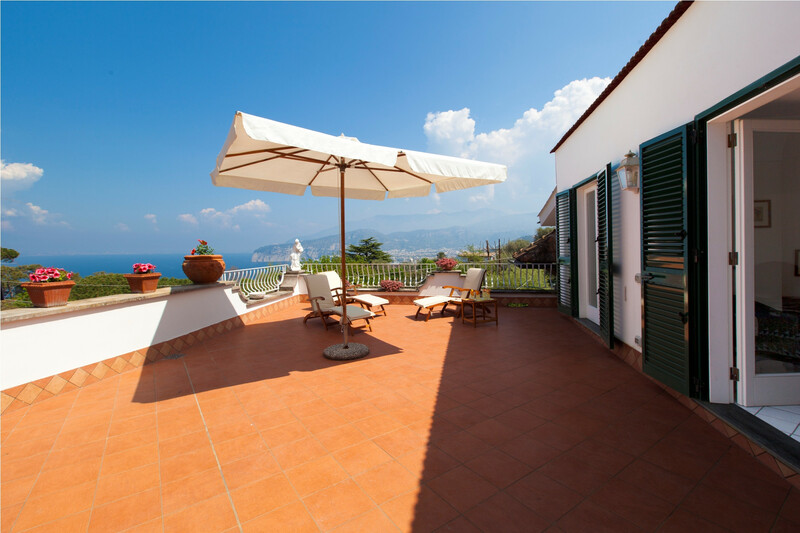 They all have far-reaching views out to sea, some have shade, other are for basking in the sun. 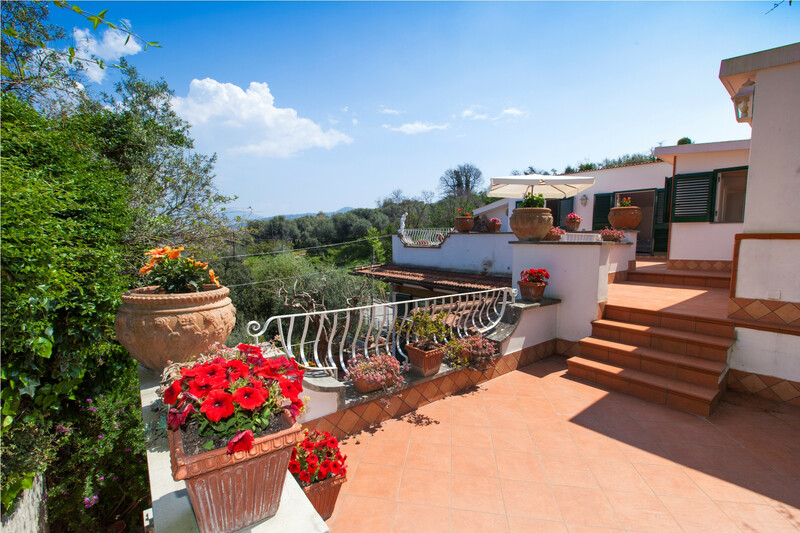 Pots overflowing with flowers abound and the whole space is furnished to make the best of the outdoors; there is a dining area, loungers and little tables to sit and enjoy the sunset over an evening drink or start the day with a coffee. 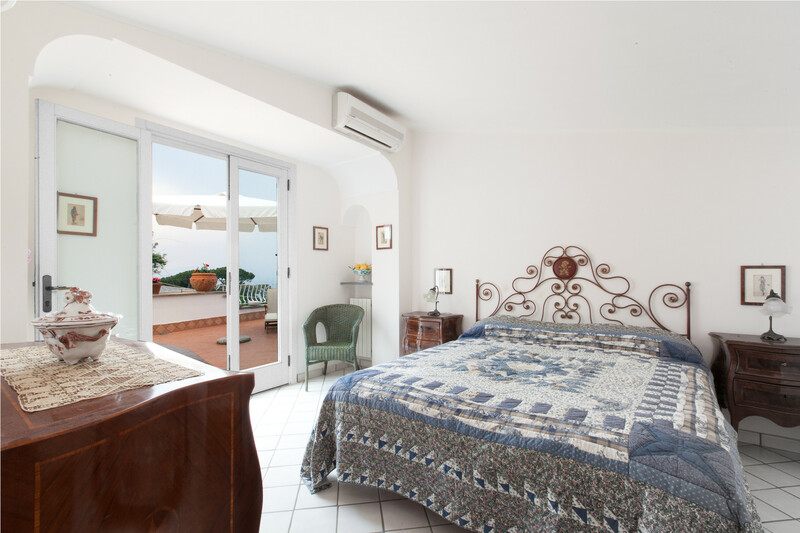 Sorrento is a downhill, 20- to 30-minute walk away with its narrow, cobbled streets, splendid piazzas and beautiful views over the water to Naples and Mount Vesuvius. If you don’t feel too energetic, catch a bus to the town or eat in a nearby restaurant. 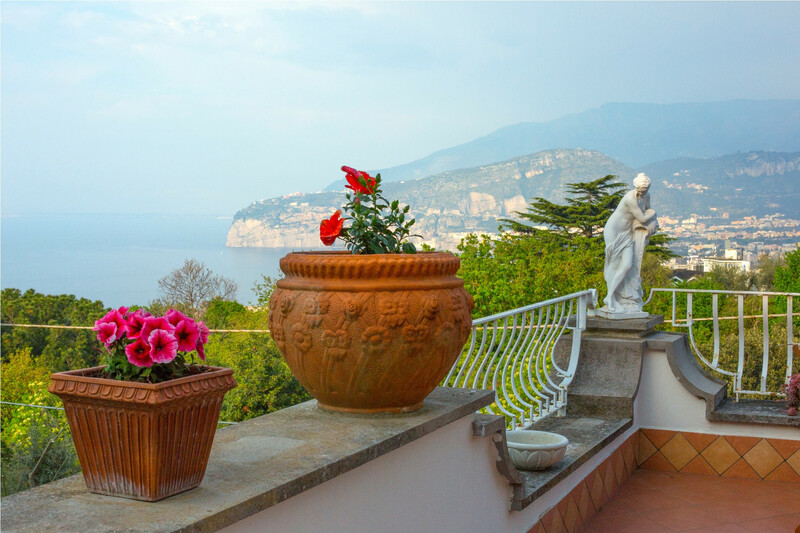 The town of Massa Lubrense – known as the ‘Land of the Sirens’ is 5 km away on the coast, with scenic, pastel-painted houses perched on the cliffs and boats in the small harbour. The town offers plenty of shopping, eateries and bars, as well as interesting cathedrals and other attractions. 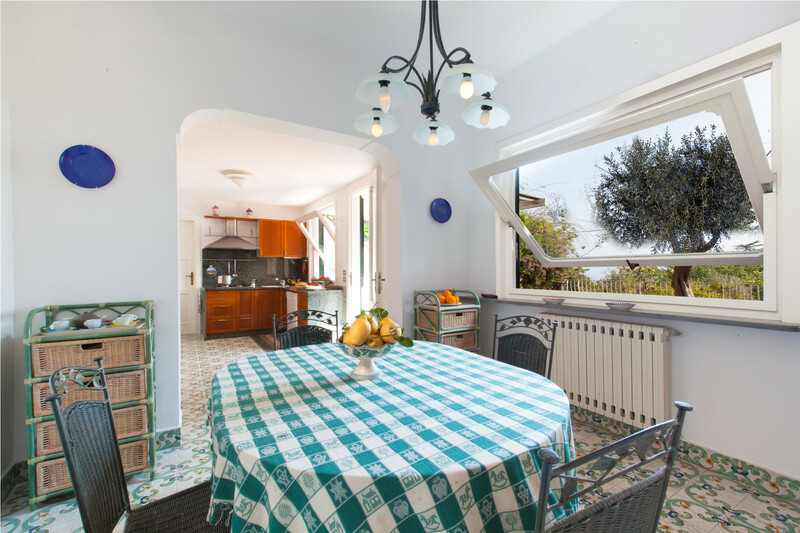 The villa is ideally situated to explore all of the Sorrentine peninsula – from Positano and Amalfi to Vesuvius and Capri – as well as its amazing hiking country, beautiful coasts and stunning villages and harbours. 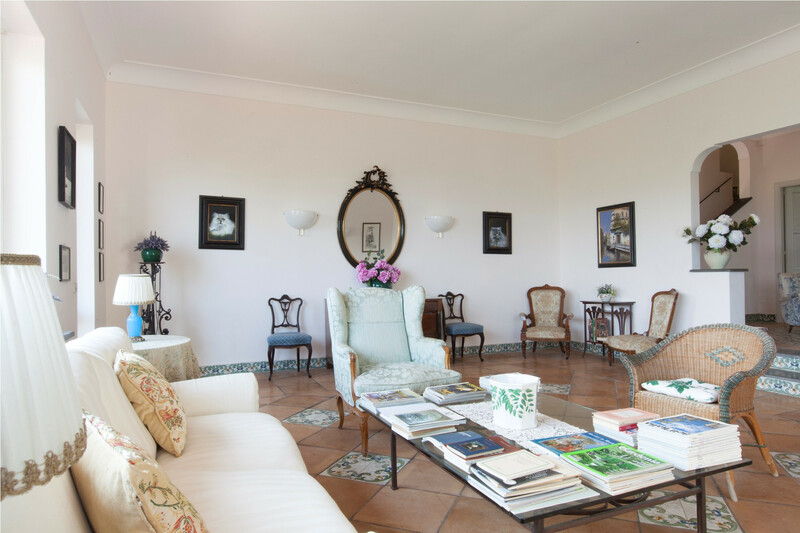 This quiet, elegant villa has the best of both worlds; serenity and peace just a stone’s throw from the bustle and energy of nearby Sorrento. 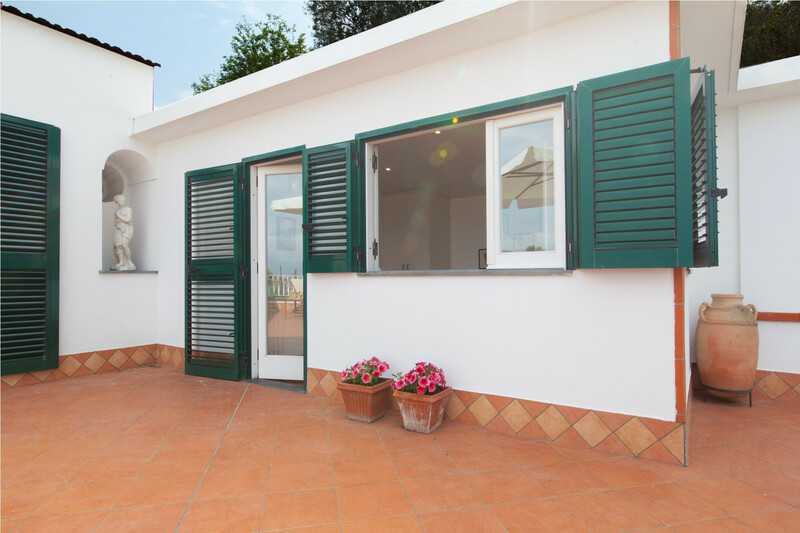 TV, garden, terrace, internet (Wi-Fi), hair dryer, 170 m² property, 370 m² plot, air-conditioned, Open-air parking in the same building.